While every deregulated energy customer should read a product’s EFL before purchasing, not everyone does; probably because EFLs can seem like a jumble of jargon and numbers to those outside the energy industry. Enter: SaveOnEnergy.com. Our goal as the largest online deregulated marketplace is to help customers make educated and informed decisions on their energy needs. That’s why we recommend you always read a product’s EFL before signing up! Energy charge: How much you’ll pay your provider per kWh used. 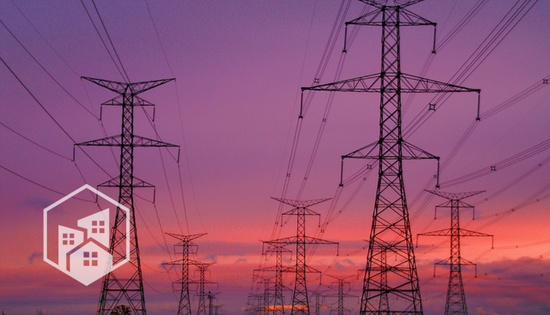 TDU or TDSP charges: Both of these terms refer to the local utility’s delivery charges; TDU (Transmission and Distribution Utility) or TDSP (Transmission and Distribution Surcharge) fees are not determined by the provider. They can appear on bills as a monthly flat rate charge or price per kWh. Bill or usage credit plan: This type of plan often has higher per kWh rates, but offers customers a credit when they reach a certain usage amount. Tiered rate plan: This type of plan charges different prices per kWh at different consumption thresholds. For example, a product may cost 7.5 cents per kWh up to 1,000 kWh, but switch to 10 cents per kWh after 1,000 kWh are consumed. 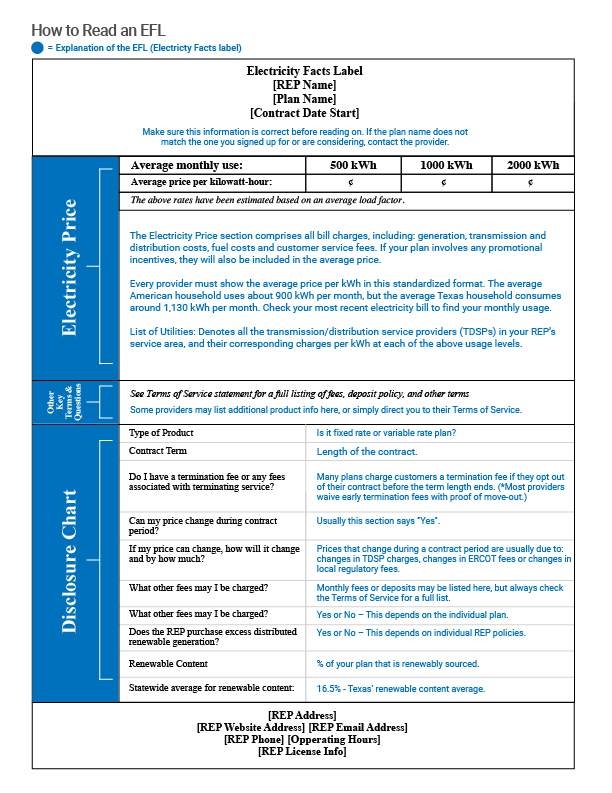 Check the “Electricity Price” section of a product’s EFL to determine if it is a tiered rate plan. Base charge plan: This type of plan usually has a high Monthly Base Fee but low usage charges. This type of plan works best for a customer whose usage is consistently around the 0 cents per kWh threshold. Flat rate plan: Perhaps the most straight-forward option, this type of plan charges the same price per kWh, no matter how many kWh are consumed. Is Water-free Fracking the Alternative We’ve Been Looking For?